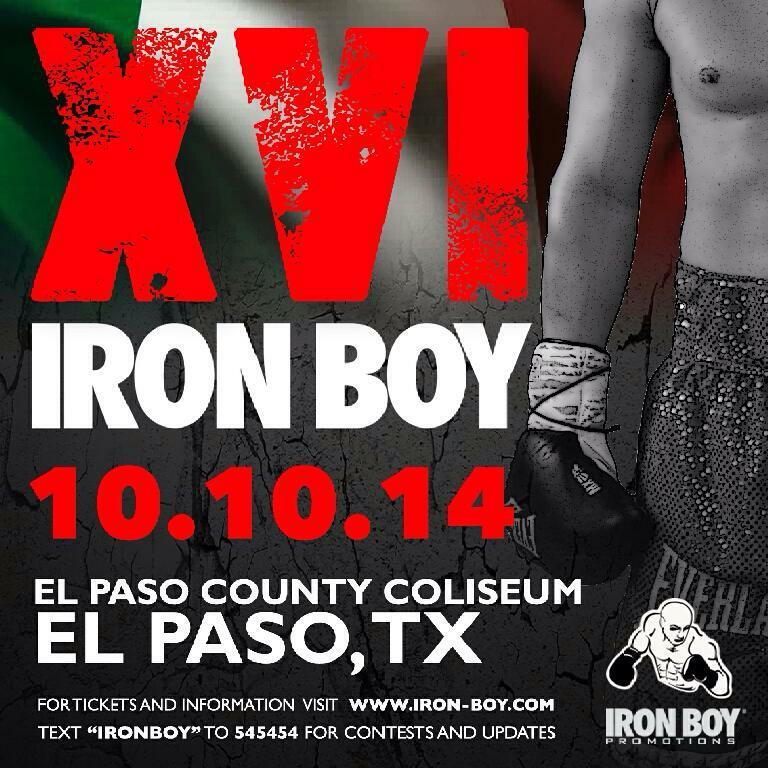 Iron Boy 16 in El Paso, Texas on Friday Oct. 10. On Thursday afternoon at 4PM the Holiday Inn Airport Hotel in El Paso, Texas will play host to Iron Boy Promotions’ Iron Boy 16 weigh-in. The Iron Boy 16 card itself is slated to take place Friday, October 10th at the El Paso County Coliseum in El Paso, Texas. The card will officially mark the first time Iron Boy Promotions hold a boxing card outside of the state of Arizona. In June, the promotion attempted to hold Iron Boy 13 in El Paso but due to several fighter injuries the card was postponed. This time around the event appears to be a go, a great sign for boxing fans who will be spoiled with a large bill which features a stellar bout between Las Cruces, New Mexico’s Siju Shabazz and Colorado Springs, Colorado’s Izaac Cardona. Tickets for Iron Boy 16 are priced at a very affordable $10, $25, $40 and $60, and are available at www.iron-boy.com or via Ticketmaster.